Curiosity over Churrosity! I had came across this stall while I was strolling down the streets in Holland Village after my dinner. 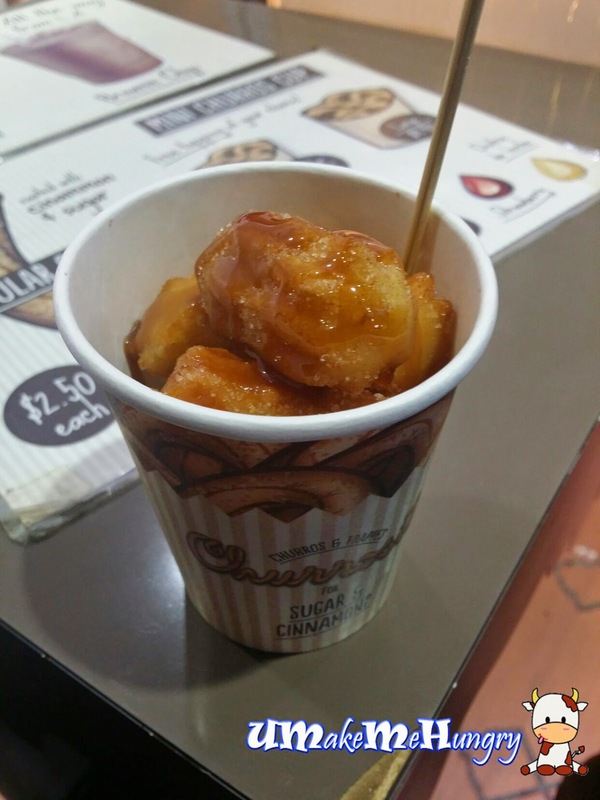 Having tried Churros in Europe few years back, I had never come across any stall in Singapore selling these bites and since I chanced by this stall, I thought it will be good to give me a 'de ja vu'. 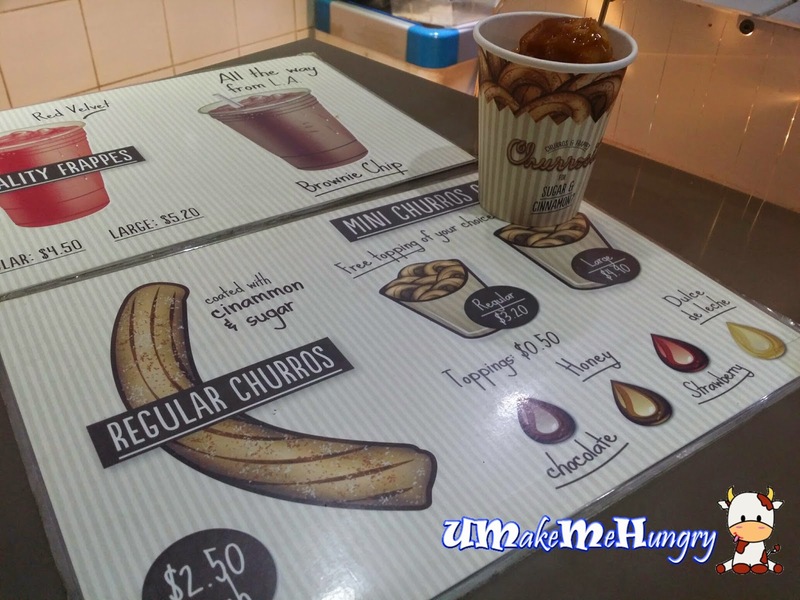 The original / regular Churros comes in a lengthy size but one can opt the mini churros which are served in cups form. 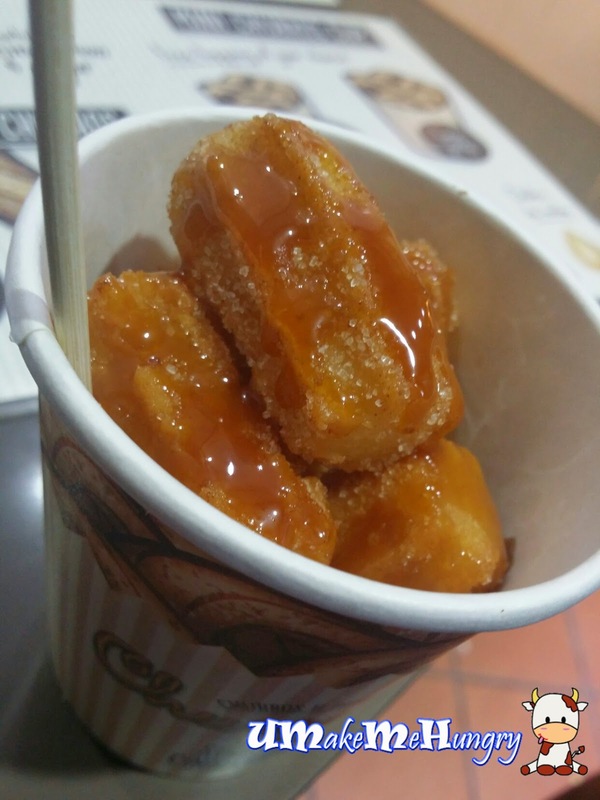 Besides having the regular churros coated in cinammon and sugar, we get a free topping of our choice for ordering those mini versions. It comes with 2 sizes, Regular or Large cup at $3.20 and $4.90 respectively. Toppings include Chocolate, Honey, Strawberry and dulce de leche (caramel). Churros was prepared and taken out from the deep fryer and there were rolled onto the tray with sugar and cinnamon powder. Afterwhich, it was then placed into the cup piece by piece, added with the topping of our choice. I would say it is a English Version of "You Tiao" aka Fried fritters that was much more sweeter. I like its uniqueness in taste and that it is out of the hot oil. 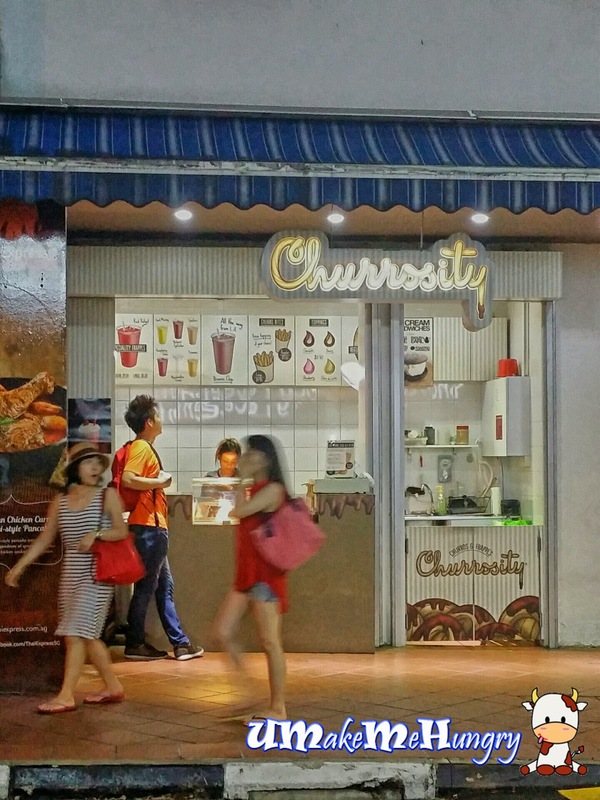 Simply a best choice to for a munch while walking around Holland village.